Web hosting is a service which enables an organization or an individual to post a website or a web page on to the Internet. purchase web hosting - A web host, or web hosting service provider, is a business that provides the technologies and services needed for the website or webpage to be accessed / viewed in the Internet. Websites are hosted, or stored on special computers called servers. Since, it is in web everyone called it as Web Servers. When Internet users want to view your website, all they need to do is type your website address into their browser. Their computer will then connect to your server and your webpages will be delivered to them through the browser. 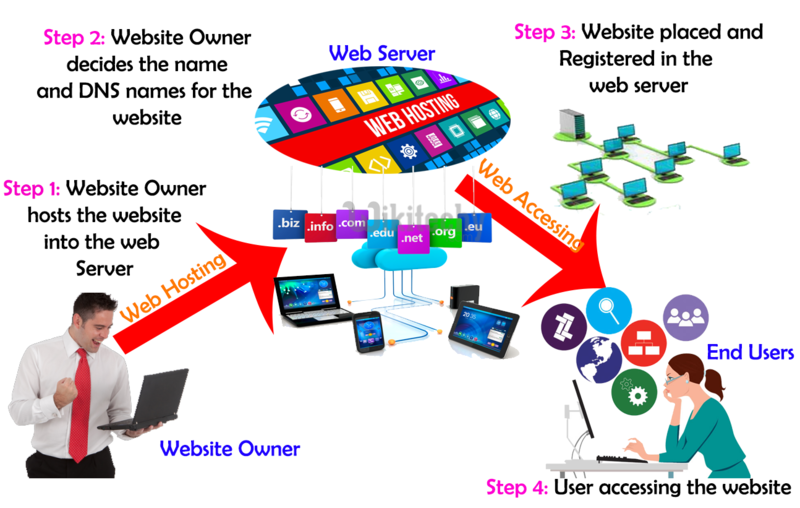 Most hosting companies require that you own your domain name in order to host with them. 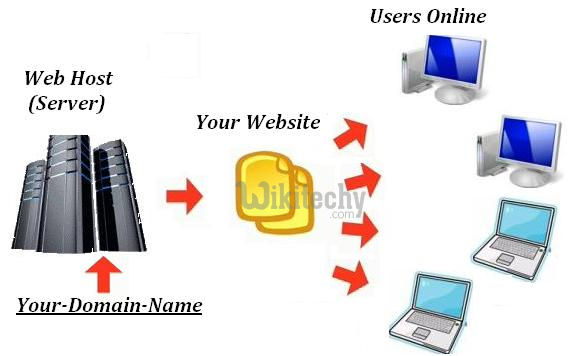 If you do not have a domain name, the hosting companies will help you to purchase one. The website owner should decide the website name and plans to host the website. buy a server for web hosting -> Web server needs to be purchased. 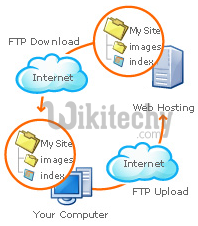 the website owner will upload the files into purchase server for web hosting via FTP. .INFO is synonymous with information. Anyone can register a .INFO. .BIZ is the internet's first top level domain just for businesses. Anyone can register a .BIZ. .MOBI is the internet's first top level domain just for mobile devices. .MOBI is an open domain, meaning anyone can register a .MOBI. Website available for the end users to access. Website registered in DNS Servers. Usually, this will be taken care by the web hosting providers. End users will access the website by typing the URL of our website. www.wikitechy.com - On the Internet, your domain name is your unique identity. It is nothing but the website name. Having your own domain name, website and email addresses will give you and your business a more professional look. Another reason for a business to register a domain name is to protect copyrights and trademarks, build creditability, increase brand awareness, and search engine positioning. The abbreviation of ICANN is "Internet Corporation of Assigned Names and Numbers". The purpose of ICANN is to oversee the IP numbering assignment, the domain name system, and to address the issue of domain name ownership resolution for Global Top Level Domains. www.wikitechy.com - A domain name is your website name. A domain name is the address where Internet users can access your website. A domain name is used for finding and identifying computers on the Internet. 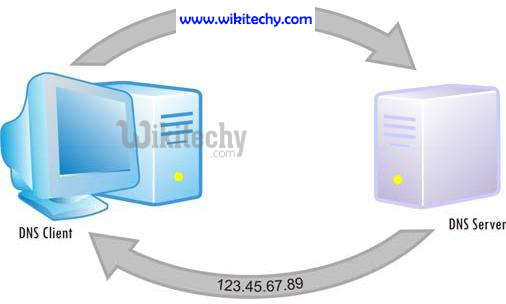 Computers use IP addresses, which are a series of number. However, it is difficult for humans to remember strings of numbers. Because of this, domain names were developed and used to identify entities on the Internet rather than using IP addresses. The domain name must be registered before you can use it. Every domain name is unique. No two websites can have the same domain name. If someone types in www.yourdomain.com, it will go to your website and no one else's. Registered and expiry date of the website. cheap hosting plans - what type of services the web host offers. network hosting services- good network infrastructure based web hosting companies. cheap dedicated server- for high critical websites, go ahead with dedicated servers. database web hosting- best database, backup and reliable service web hosting providers should be identified. cheap vps hosting- Going for virtual private server hosting, this option can be opted for high critical applications. unlimited bandwidth hosting - a very important one, the hosting provider should give a good bandwidth for our website. Technology supporting hosting- supports a wide variety of technologies to help support and customize your hosting environment. It is very difficult for everyone to keep in mind the IP addresses of all the websites we visit daily. In order to make it simplify and to remember easily, domain names comes into the picture. The reason is, Words are easier to remember than strings of numbers. When you visit a website, all you need to know is its URL(www.wikitechy.com). Computers remember numbers, and DNS helps us convert the URL into an IP address that the computer can understand. 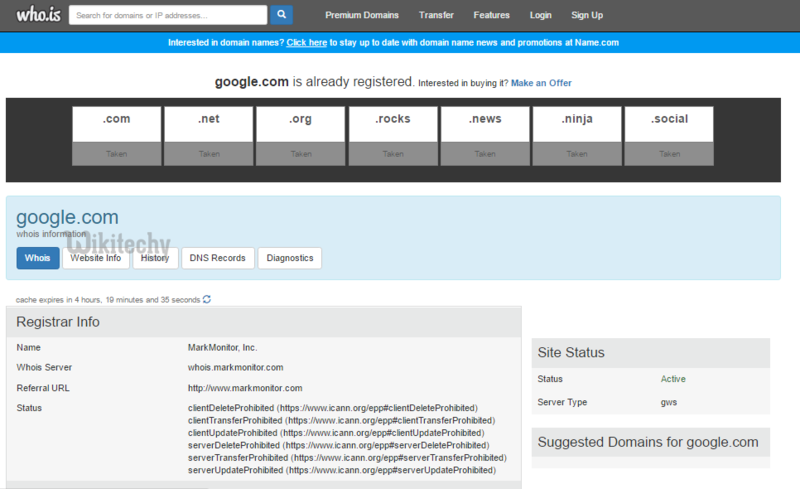 When you type in domain.com into your browser, the browser first needs to get the IP address of www.wikitechy.com. The browser contacts a DNS server to query the location of the server where the webpages are stored. Think of it as a directory service of IP address.